Children of any age are welcome to remain in the worship service with their parents. However, for children below 6th grade, the following options are available. For more information on child safety at Advent, click here. Why: We want to give young children a place to develop relationships with other children and adults in the church community within a safe environment. Children listen to songs and stories, play, color, and eat a snack together. They are cared for by a paid nursery worker and a trained volunteer from our congregation. Note to parents of nursery children: You will be assigned a pager when you drop your child off in the nursery. Please keep the pager with you during the service in case the nursery needs to contact you for any reason. When: Children can either be brought to the Nursery at the beginning of the service OR remain with you for the first part of the service and join the other children when they go downstairs for Children's Church (see below). Teachers will bring the children back as a class prior to the Eucharist. When: Children will be invited to the front of the church before the sermon to be prayed for and to join their teachers. Teachers will bring the children back as a class prior to the Eucharist. Why: We want to give kindergarten and elementary-age children a place to develop relationships with other children and adults in the church within a safe environment, while also preparing them to participate more fully in the worship service with the rest of the congregation. Children learn prayers that are commonly used in our liturgy and interact with the Bible through stories, art, conversation, memory work, and other activities. Currently, the class is journeying through The Gospel Story Bible. This is a great resource that takes our kids through the entire Bible and always points back to the Gospel of Jesus Christ. You can find out more about The Gospel Story Bible, and purchase it for your own family, here. At Advent, all baptized followers of Christ are welcome to participate in the Eucharist, including children. Any children who do not take Communion are still very welcome to come forward and receive prayer (this applies to big people, too!). 1. Children are created in God’s image and have the capacity to know and love Jesus in a meaningful way. 2. Children are vital members of the body of Christ, and strengthen our church family with their presence and participation. 3. Parents need the support of a faith community to come alongside them as they lead their children in the ways of God. · We seek to foster an environment where children know that they are welcome and valued. · We include children in our worship services, and look for opportunities to assist them in their growth in the skill of worship, finding meaning and joy through the liturgy. · We teach the scriptures of the Old and New Testament as our primary means of knowing God and his plan for humanity, believing that God speaks to all of us through his Word. · We encourage adults who are not parents to develop healthy relationships with the children of the church. These friendships help adults to grow in their faith as they learn what it means to “become like little children”, while also providing children with a variety of role models to look to as they grow. 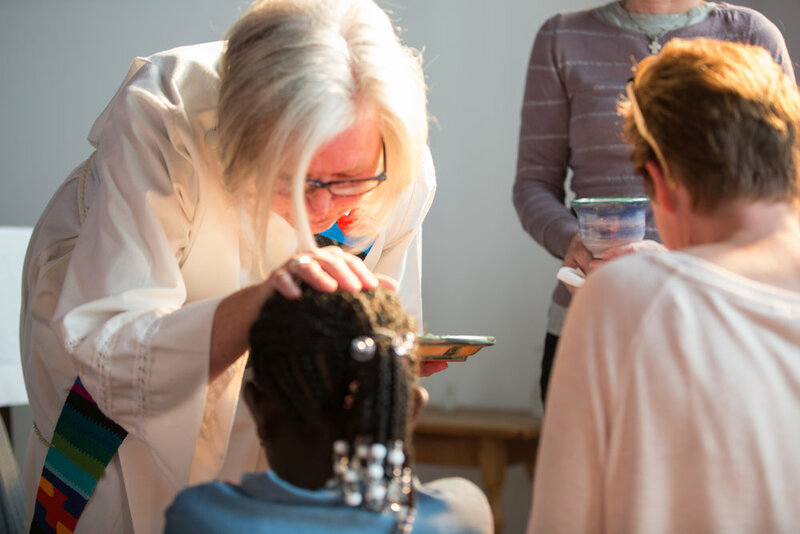 · We take seriously the role that Advent plays in teaching our children what it means to be a church, that they will come to understand God’s love for all people through our corporate example of compassion, service and outreach. · We seek to provide opportunities for parents to get together for discussion and encouragement. · We seek to be mindful of families in our planning and events, being sensitive to their schedules and needs.